Warmer temperatures and extreme weather will threaten U.S. food security, a 1,300-page executive-branch assessment on climate change released in May found. Accordingly, federal crop insurance programs may serve even greater roles when it comes to farmers’ risk management plans. If farmers cannot overcome these challenges, then U.S. crop and farm profits may decline, the assessment warned. 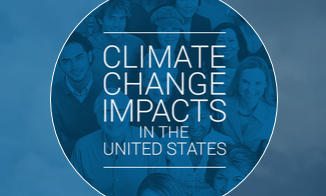 Midwest first reported on climate change and the national assessment in May. Read the agriculture portion of National Climate Assessment below. Scroll through and click on the yellow highlighted areas to jump to the assessment's key areas. You can find the full report, which includes information on other sectors, here.